कल्पना कीजिये कि इस दुनिया की सभी औरतो और महिलाओ की प्रजनन करने की अथवा बच्चा पैदा करने की क्षमता अचानक किसी epidemic या virus या किसि अन्य वजह से समाप्त हो जाये तो क्या होगा ?? 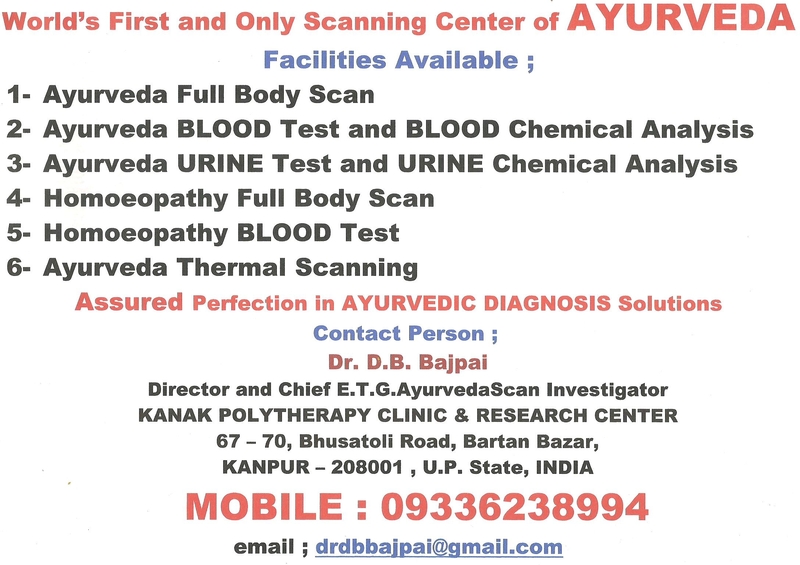 Our AYURVEDA AND AYUSH Diagnosis and Treatment Center is EQUIPPED by the latest AYURVEDA – AYUSH Hi-technologies invented by Dr. D.B.Bajpai, Director and Chief E.T.G. AyurvdaScan Investigator and Investigator of other projects , simultaneous running towards advancements in related AYUSH systems. 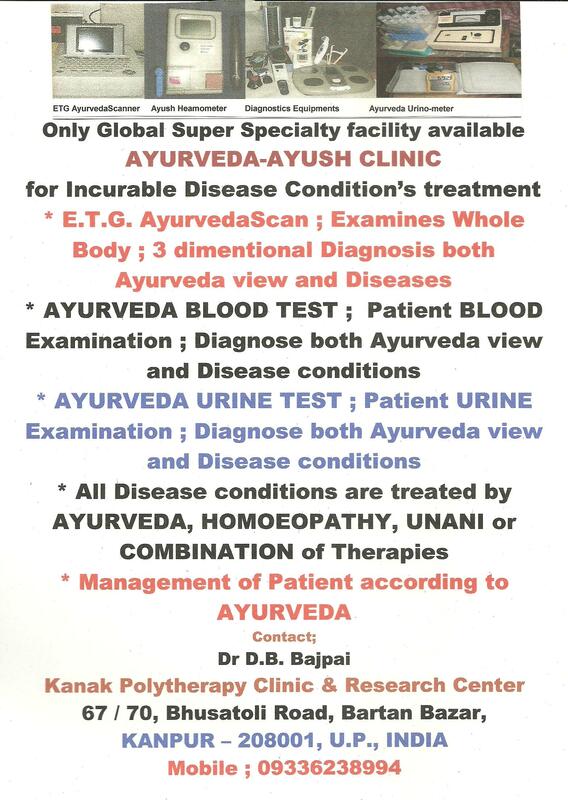 All advance level INVENTED AYURVEDIC – AYUSH technological tests and examinations are available at our research center, at KANPUR, U.P. State, INDIA for entire GLOBAL PUBLIC of any region and any country. Tests and examinations are open for all. AT our research center , we examine TUMORS and GLANDS by a powerful LASER LUMINOUS TORCH. 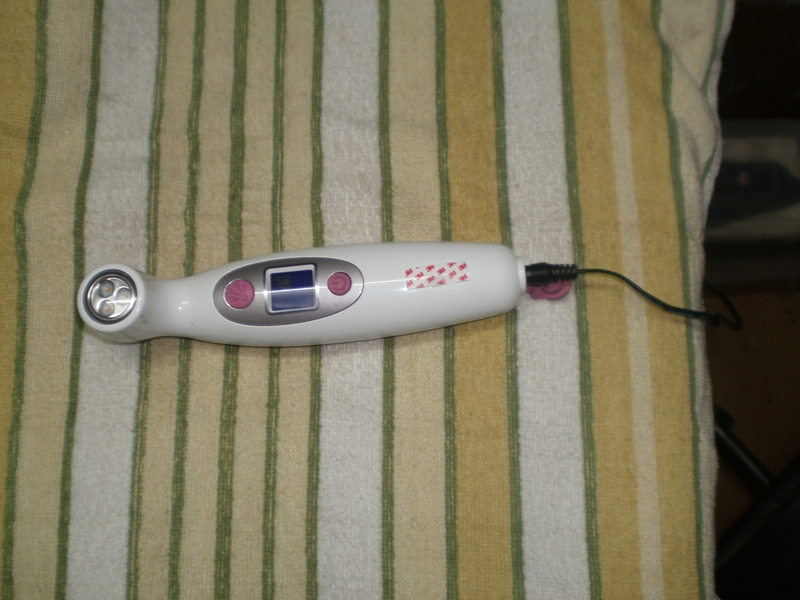 The specially designed torch for examination purposes, used externally without any harm to Glands / Tumors of any place in body externally visible and palpable. 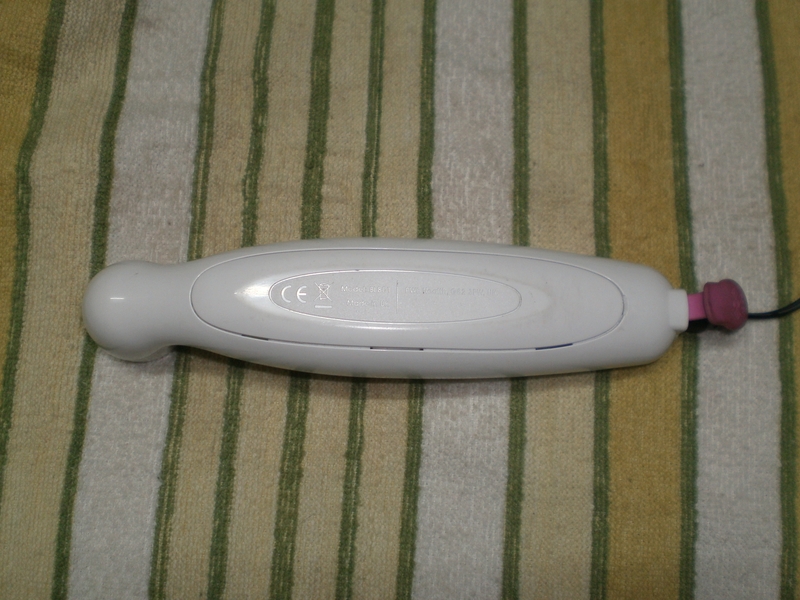 By this torch, examination of TUMORS / Glands can be classified , whether it is malignant or benign or a simple glands collection of fat or fluid or otherwise matters. 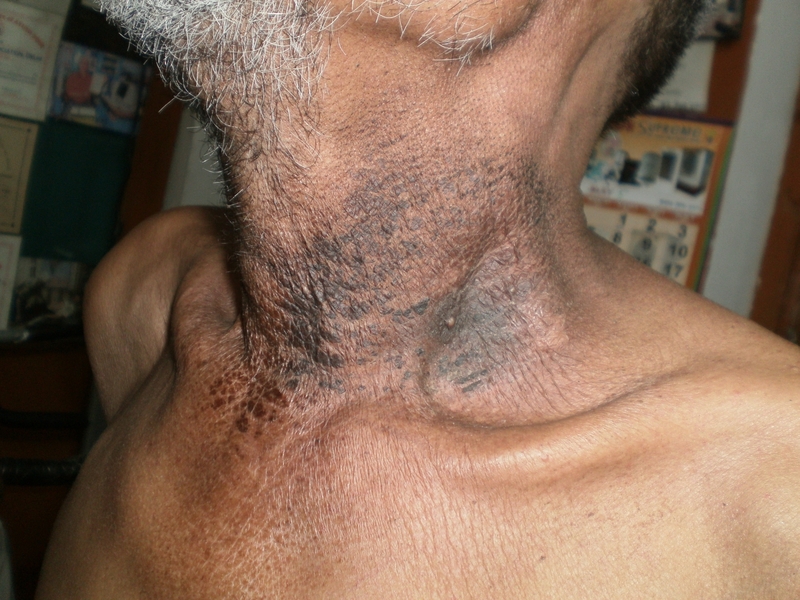 Below is a VIDEO showing the examination of NECK GLANDS TUMOR, which seems a malignant tumor. The absorbance of light intensity is read. Most of the MALIGNANT TUMOR are very bright by light reflection and comparatively simple glands reflection of light, which is transparent and not reflected brightly. 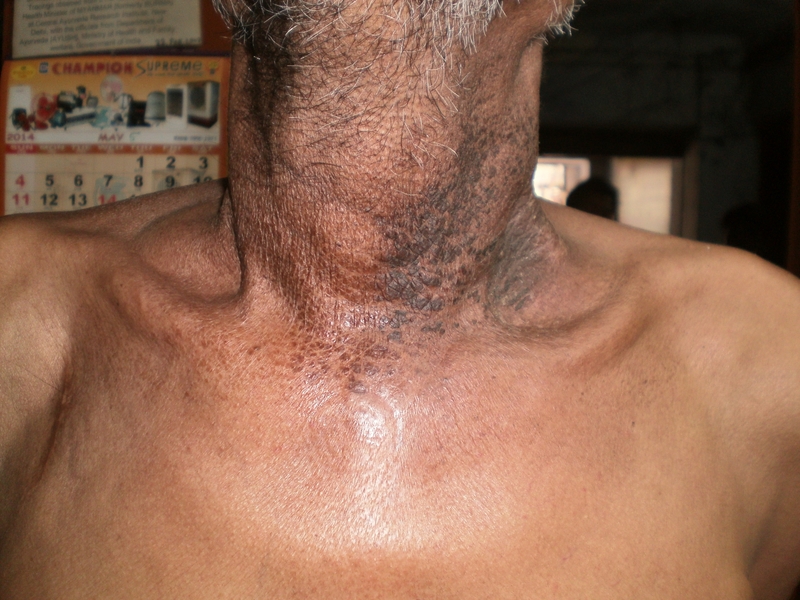 See the VIDEO of a patient , having LYMPHADENITIS Large shape. ANTI-BIOTICS EFFECTS ON HUMANS ARE NOW AT THE EDGE OF FAILURE. 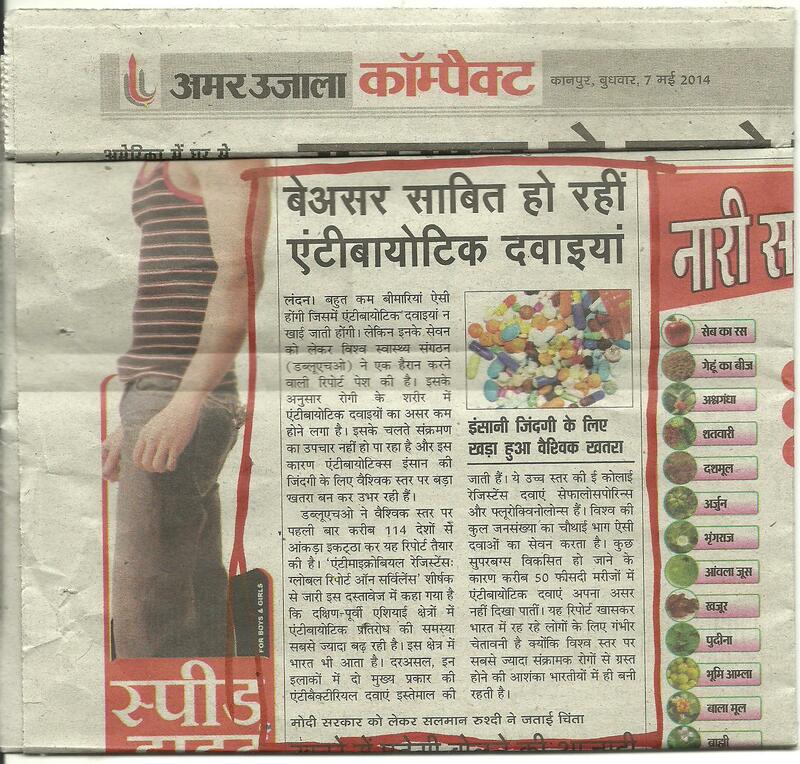 A warning is published in a HINDI LANGUAGE NEWS PAPER “COMPACT AMAR UJALA” TABLOIDS. 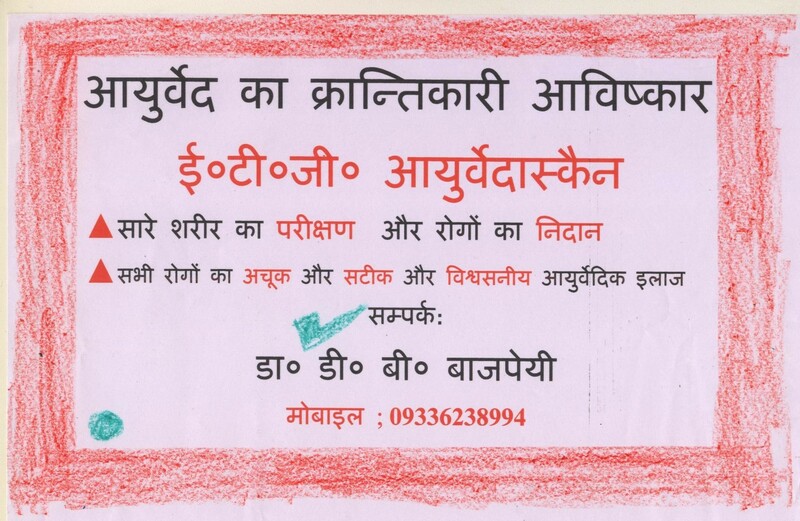 Observe and read the news, published from KANPUR, India. 1- The basic material of the production of ANTI-BIOTICS are synthetic chemicals and the basic chemical is obtained by the several level of chemical processes. 2-Use of Chemicals for human body , unequalizes the ratio of Blood pH [ Blood Hydrogen Ion Concentration]. 3- The use of chemical substances decreases the pH level of Blood towards ACIDITY , where the level of Blood should be nor more acidic nor alkaline and the pH of blood should be in lower medium level, say round about 7.00 to 7.3. 4- Anti-biotic creates HYPER-ACIDITY and therefore the Intestinal Bacterial flora , such as Lacto bacillus, Bacillus coli and others , who helps to digest food and food assimilation ingredients and keeps the function of Bowels in natural order, damaged by the Anti-biotics and thus the normnal physiology of the organs affected. 5- I presume that after intake of any anti-biotic the pH level of Blood increases towards the acidity slowly and gradually with the increase of chemical substances of recommended medicine by doctors. This increase level of acidity in blood might possible that bacteria could not procure their growth rate in blood stream , which is very faster and thus inhibits.This process reduces the level of toxemia and as a result the body regain towards the normal health. However this is my view. But I will say to researchers that they must find out the solution of this problem and the immune system. 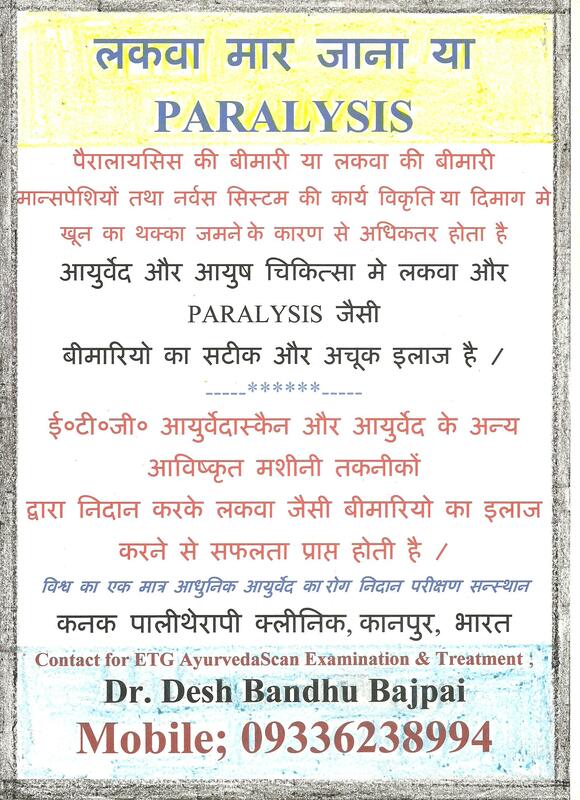 FAQ ; WHAT IS TREAD-MACHINE E.T.G.AYURVEDASCAN SYSTEM ?? HOW IT IS DONE ?? ;;बार बार पूछे जाने वाले सवलों के उत्तर ; क्या आप बतायेन्गे कि यह ट्रीड – मशीन ई०टी०जी० आयुर्वेदा स्कैन क्या है और इसे किसलिये और क्यो करते है ?? बार बार पूछा जाने वाला स्वाल / प्रश्न क्या आप बतायेन्गे कि ट्रीड-मशीन ई०टी०जी० आयुर्वेदास्कैन क्या है और इसे किस लिये करते हैं ?? 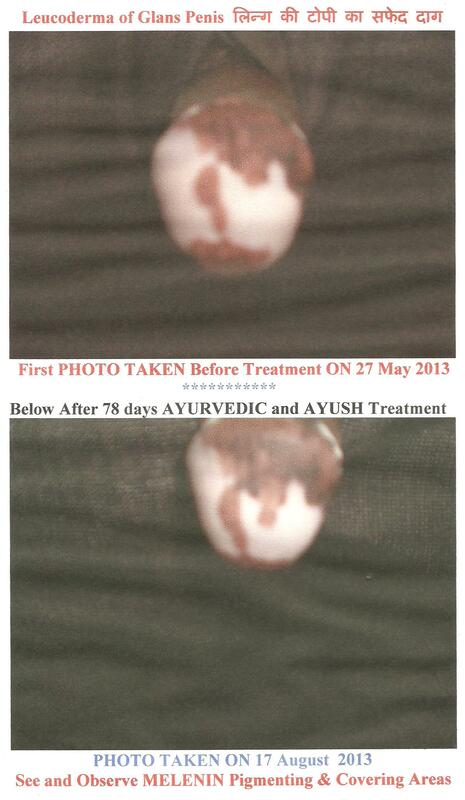 Below is given an example specimen of a patient for comparison of AYURVEDA PHYSIOLOGY that is called SAPTA DHATU. 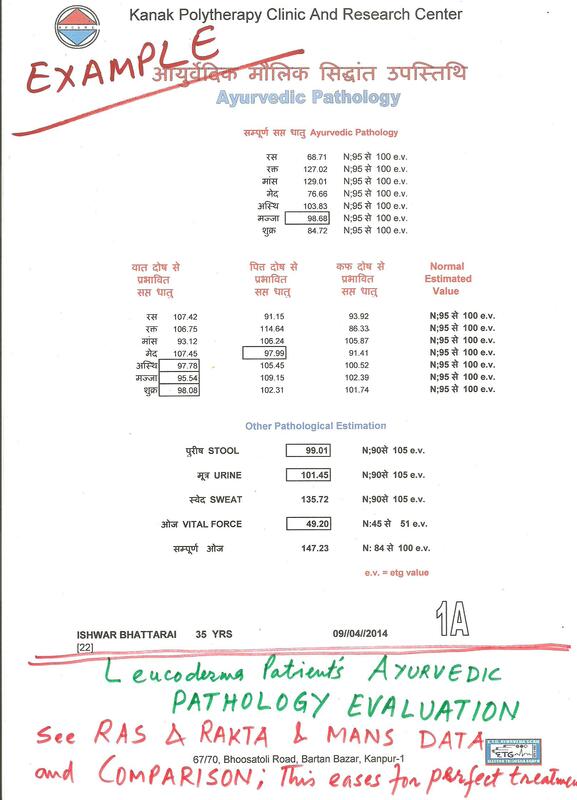 The data is of a LEUCODERMA PATIENT , see and observe the intensity level of EYURVEDA PATHOLOGY, how it is dominanting in SKIN DISORDERS . 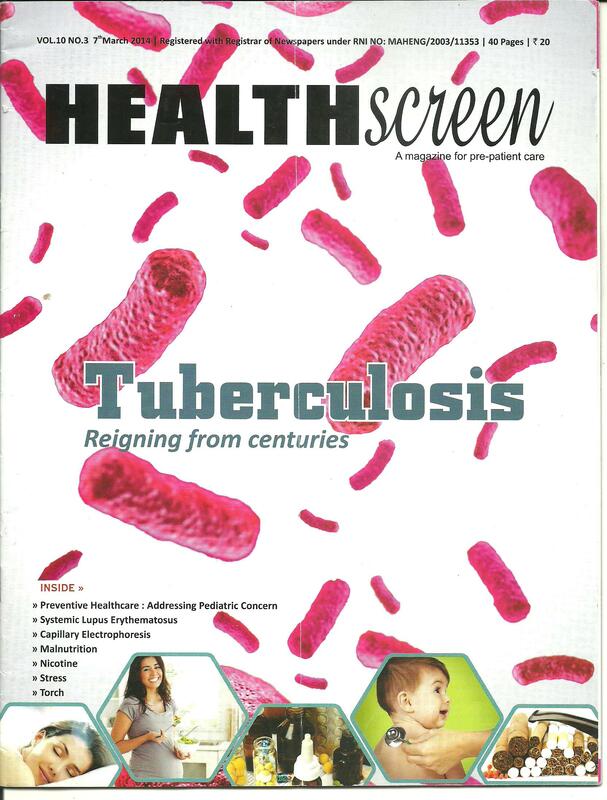 In recent years I have seen this magazine, which is full of latest information about the technical and medical related aspects . The articles are informative and well presented. The printing and pictures and paper quality is of International standard level. 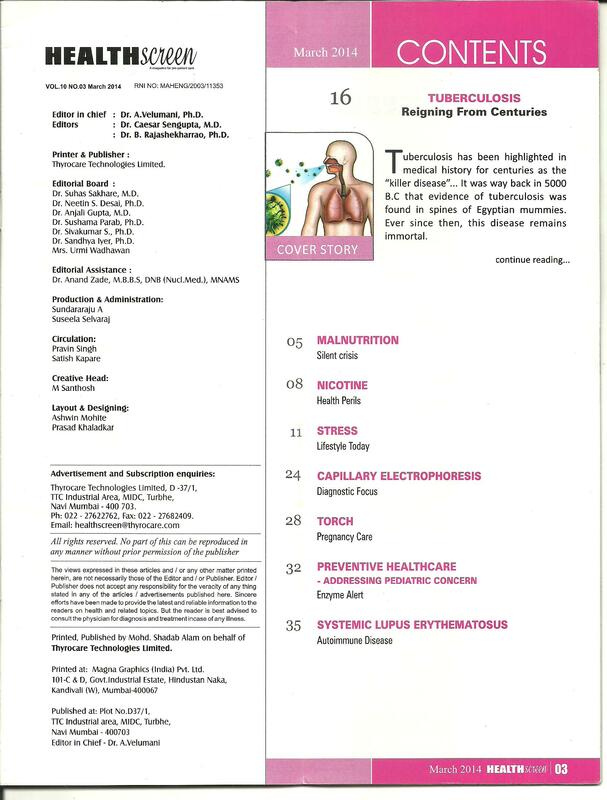 Physician of every corner should read the articles for their updates. F.A.Q. ; WHY YOU SAY TO SOME PATIENT’S THAT ” I WILL NOT TREAT YOU”. बार बार पूछे जाने वाला सवाल ; आप यह क्यो मरीजों से कह देते है कि आप उनका इलाज नही करेन्गे या “मै आप्का इलाज नही करून्गा” ऐसा कह कर मना कर देते है , ऐसा आप क्यों करते हैं ?? F.A.Q. ; WHY YOU SAY TO SOME PATIENT’S THAT ” i WILL NOT TREAT YOU”. बार बार पूछा जाने वाला सवाल ; आप यह क्यो मरीजों से कह देते है कि आप उनका इलाज नही करेन्गे या “मै आप्का इलाज नही करून्गा” ऐसा कह कर मना कर देते है , ऐसा आप क्यों करते हैं ? ?